Today the LCBO released its 2011-12 financials and guess what? Ontario Craft Beer led all product segments in growth, with 45% increased sales. To put that in perspective, VQA wines rose 9%. I think that this has little to do with changing tastes and is simply a result of the fact that LCBO has started selling Ontario Craft Beer. Indeed, its been an underserved market that is just coming out – note that beer sales in general were up as well, suggesting the craft beer market is not totally stealing from the traditional market. Moreover, the quality sells itself, and quite frankly, people like to buy local, even if it costs a bit more – hell even if it costs a lot more. 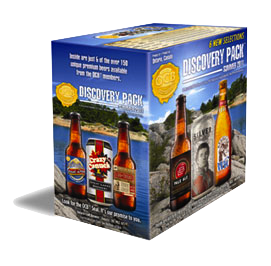 No doubt these impressive results will lead to increased receptiveness by the LCBO of local craft beers, which is great for consumers but also for the many entrepreneurs and their up-and-coming craft breweries. Sure, we may be heading for the craft beer bubble of 2022, but until then, things look up for the craft beer business in Ontario. Get in on it while you can folks, but make it good.